In some places, you get maybe a few centimetres of rainfall every few months. This doesn’t sound like a lot. However, on an average-sized roof, that amount of water can turn into gallons that are sluicing off the eaves and running own your gutters. That is a lot of water moving at a speed that can do damage. Most of the time, gutters can handle the job. Other times, because of a lack of gutter cleaning Perth, the system just isn’t up to the job. If this is the case, the damage is going to happen. Even without a clog or even if they don’t overflow, that kind of water can wreak havoc. This is before we think about ice, snow, and how they can rip the system from its moorings. So let’s take a look at the components of the typical gutter system. This will help us understand just how these things work, how it all flows together, and how important it is to keep it clean and updated. Most of the time, all you need is a simple cleaning. Other times, you would need to replace parts. The obvious start would be the gutters themselves. These are designed to capture water that’s flowing or shedding off the roof. These will be open up until a certain point, so as much water as possible is captured. However, this can mean that it can get clogged by debris. Every gutter has its end closed. These are called end caps. Another critical component is the fascia brackets. These things attach to the eaves, providing the whole thing with valuable support structures. 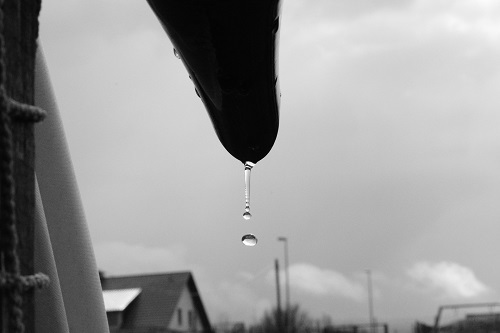 A downspout or leader is meant to convey water flowing through the gutters to the ground in a safe area. One good example is the drain, rather than leaking to the foundation. Every downspout has a bracket to secure it, running along the side of the house. It also has an elbow to change direction. If you’re looking to get new gutters, you’ll be pleased to know that there is a wealth of materials, shapes, sizes, and designs to choose from. Some of them are more expensive, while others are heavier on the maintenance. Vinyl ones tend to be short-lived. Wooden gutters are heavy on the maintenance. For most homes, a metal is the best choice. Aluminium is affordable, zinc is understated and easy to blend in, steel can be rugged and tough, and copper is classic. Gutter Cleaning Perth or Gutter Replacement?